Death*: He died on 6 November 1945 at Bedford Park, Cook County, Illinois, USA, at age 40. Chicago Daily Tribune, November 7, 1945, page 22. [S2014] Lester Charles Hannah, Illinois Report of Birth no. : 6975, Accessed at FHL, February 9, 2015 (December 14, 1904). [S2148] 1920 US Census, Illinois, Cook, Chicago, Washington, DC, ED 209, page 9B, Accessed Ancestry.com, June 7, 2015. [S2149] 1930 US Census, Illinois, Cook County, Chicago, Washington, DC, ED 0613, page 12A, Ancestry.com accessed June 7, 2015. [S2109] 1940 US Census, Illinois, Cook County, Chicago, Ward 14, Washington, DC, ED103-990; page 13B, Accessed Ancestry.com, May 11, 2015. 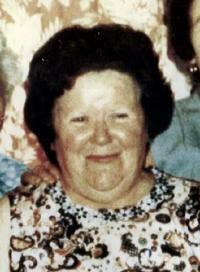 Death*: She died on 14 October 1989 at Cook, Illinois, U.S.A., at age 77. [S1002] U. S. Social Security Administration, Mary C. Milos, SS# 324-09-2752, died 14 October 1989; Accessed May 11, 2015. [S2007] Robert Hannah, Illinois birth certificate no. 8577, Accessed at FHL, February 9, 2015 (October 26 1915). [S2103] Illinois, Cook County Deaths, 1878-1994, online www.familysearch.org, Ruth E. Mewing, 11 Jan 1991, GS film no 009300824, accessed May 10, 2015. [S2000] Ruth Evelyn Hannah, Illinois Birth Certificate no. 15909, Accessed at FHL, February 9, 2015 (May 3 1922). [S2015] Aleseander H. Hannah, Illinois Report of a Birth to County Clerk no. 6380, Accessed at FHL, February 9, 2015 (July 31, 1903). [S2015] Aleseander H. Hannah, Illinois Report of a Birth to County Clerk no. 6380 (July 31, 1903). [S2146] Daniel Moore, "Thomas Hannah," e-mail to Elaine Beaudoin, June 7, 2015. [S2145] Thomas Jackson Hannah, Hamilton, Wentworth, Ontario, Canada birth record #036437, Accessed on FamilySearch.org June 7, 2015 (June 5 1878). [S1933] Illinois, Cook County Birth Certificates, 1871-1940, Index, online www.familysearch.org, Florence Mildred Hannah, certificate #56542, accessed March 23, 2019, FamilySearch.com. [S1988] Alice Hannah, Illinois, Certificate of Death, Accessed at FHL, February 9, 2015. [S2013] Irene A. Hannah, Illinois Report of Birth no. 6650, Accessed at FHL, February 9, 2015 (April 30, 1906). [S2010] Ethel Hannah, Illinois Birth Certificate no. 7977, Accessed at FHL, February 9, 2015 (February 3 1914). [S2008] Dorothy A. Hannah, Illinois birth certificate no. 31732, Accessed at FHL, February 9, 2014 (September 19 1917). [S2147] World War I draft registration card for Thomas Jackson Hannah Draft Board: 9, Chicago, Illinois. [S1990] Birth Certificate Illinois, Illinois, Birth Certificate no. 45301, Accessed at the FHL, February 9, 2015 (no file date given). [S1997] Thomas Hannah, Illinois Death Certificate, Accessed at FHL, February 9, 2015. [S1473] Sullivan Grave Card, Lot 42, Block 16, Section N, Calvary Cemetery, Evanston, Cook County, Illinois, USA, Lot 42, block 16, section N.
[S1189] Sarah Ann Haran, Ireland, Sligo, Tubbercurry, Aclare birth registration vol. 4, page 347, entry 500, Family History Library, MF#258162, 3rd quarter, 1913 (August 22, 1913). [S2686] Sarah Anne Haran, Ireland, County Sligo, Tubbercurry, Aclare, Lislea birth registration Page 347, line 500; ID# 01589029, Accessed April 7, 2018 (August 22, 1913). [S539] Francis Kennedy, "Kennedy, Francis email," e-mail to CM Thomas J. McIntyre, February 24, 2003. 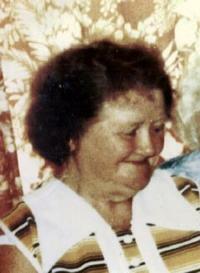 Death*: Bridget died in 1993 at County Waterford, Ireland.